But do you know what you can do with it? Really Simple Syndication (RSS) has been around for a very long time. It is also sometimes called rich site summary. In the early days of the Internet, it was an easy way to gather the latest news in your web browser. The familiar orange RSS icon was on almost every blog or website, and by clicking and adding the feed, you could read the latest content updates in your browser. In browsers such as Internet Explorer and Firefox, the RSS icon appeared automatically in the address bar to indicate that a site had a feed. With one click you could add it to a feed reader. The most popular RSS reader at the time was Google Reader. I remember using it every day for years to collect new blog posts and news. But when mobile devices arrived, that marked the beginning of the end of web-based summary RSS feed readers. From around 2010, all browsers including Chrome, Safari, Internet Explorer and Firefox started dropping RSS support. Where is my RSS feed and how can I use it? What can you do with your RSS feed? RSS is very much alive and well, and still working today on every site that is posting new articles or posts. Think here of newspapers and blogs. These feeds give information in simple text, that can be used in a variety of ways to either collect information or to disseminate information. For authors, writers and bloggers, RSS is still a very powerful tool that you can use to spread your word much further or to collect information in an easy to read form. Let’s first look at how you can promote your blogs and books using RSS. To find an RSS feed on a site, all you usually need to do is add the word “feed” after the home page URL. If you check your site, you will see a page of plain text similar to the image below. The code you can see is for my last blog post. If you look closely, you can see the title in the first line. Then comes the URL, the published date, author and then the text of the blog post. By knowing where to find your RSS feed, you can copy the link and use it to feed, and auto-publish to many sites on the Web. 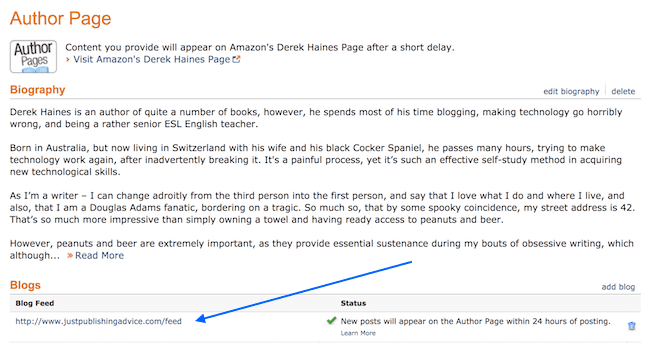 Did you know that you can have all your new blog posts appear on your Amazon Author page? No? Well, you are missing out on an easy way to give your readers much more information. All you need to do is go to your author page and add your blog’s RSS feed. What about Goodreads? 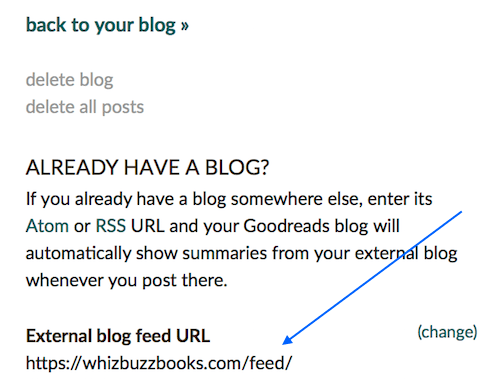 Are your new blog posts and articles being read by all your Goodreads followers? No? 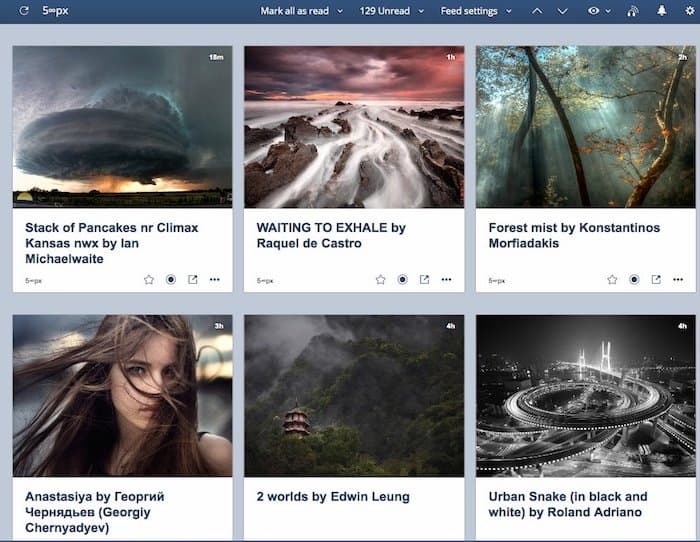 Go to your author dashboard, and you can add your blog feed. Building a mailing list is hard work, and it can also be expensive. Mailing services such as Mail Chimp and AWeber charge you after your list goes over the relatively low maximum number allowed in a free plan. But you can let your blog readers subscribe to your new blog posts for free, for any number of subscribers. 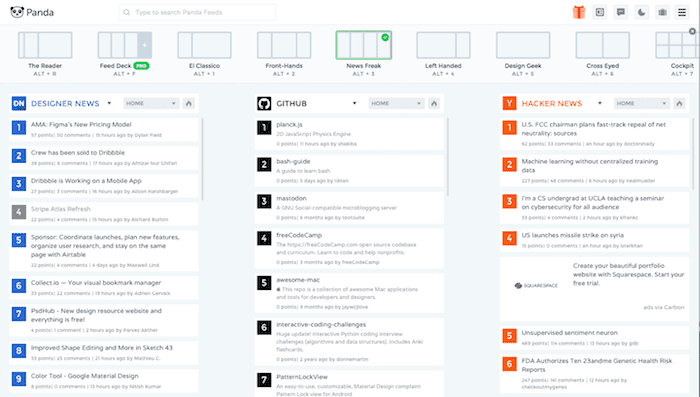 Feedburner is a free Google service. There were rumours a few years ago that Feedburner might be closing, but it is still going strong. It is a great tool to use for your blog as it helps you get many more visits as you build your subscriber numbers. RSS is the system that all aggregator blogs use to post new items. Think here of Google News. Every item you see listed on Google News is from an RSS feed. You can find a lot of sites that collect and publicise new blog posts, so keep your eyes open for opportunities to syndicate your articles to a wider reading audience. Blog Engage is one example, but there are many, many more. If you know how to find and copy your RSS feed, which is very easy, you can do so much to spread your word much further. New applications have taken the humble RSS feed and turned it into a way to gather the information you want to read. If you are constantly using a search engine to find information, or you have a long list of bookmarks you visit regularly, a reader can help. Not only can readers help you keep up with your favourite blogs and news, but some also let you add Facebook groups or defined Twitter feeds. On top of that, they can be used on a mobile device too. Another enhancement with new RSS readers is that you do not necessarily need to add the “feed” address. Just enter the website address, and the apps can usually find the RSS feed for you. By far the biggest advantage of receiving updates by RSS is that unlike an email subscription, your mail inbox won’t be full of junk. You don’t need to go to all the bother of unsubscribing your email address from a mailing list either. All you need is an RSS feed reader and you can add or delete any feeds you want to read. Better still, you don’t need to give your email address to anyone. Here are a few of the most popular feed readers. Feedly is the reader I use. You can add blogs and news, as well as Facebook, Twitter and YouTube. You can also set up keyword alerts. 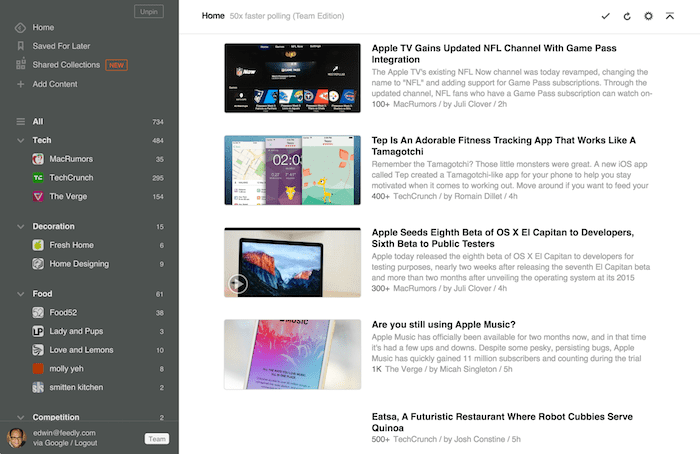 The best part of Feedly is that it looks beautiful. If you prefer a style similar to Tweetdeck, this one might suit you. There are no pretty pictures or fancy layouts. Just information at your fingertips. It looks like a tool that would suit journalists who need to scan a lot of information sources. Probably named in reference to the old and long forgotten Google Reader. 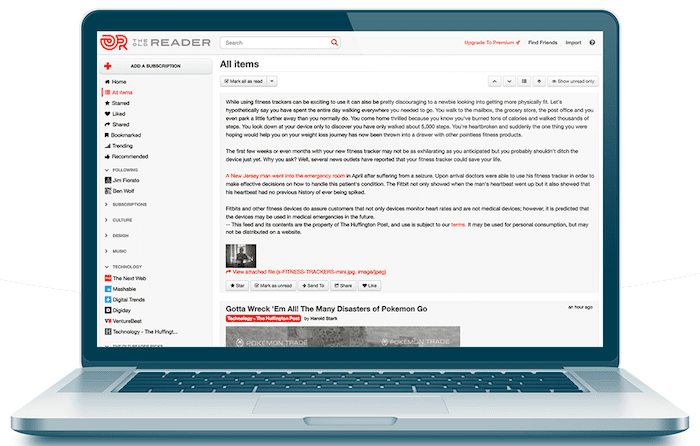 It has the same look and feel, so if you want a return to the good old days of RSS readers, this one will certainly do that for you. The card view of Inoreader makes it appealing. The other advantage is that it looks and works beautifully on mobile devices such as phones and iPads. This app is a little different because you can use it as a web page or you can download the program. It has a huge choice of view settings, so it looks like a very flexible reader. RSS is definitely not dead. It is just hiding. But now you know where it is hiding; you can use RSS to help you. Whatever you are publishing, using your RSS feed can help you find more readers. Look for sites where you can add your feed, and each one will help a little in getting more organic referrals, which is great for your SEO. Most sites will post a short snippet of your new articles, and then readers will click through to your site. On the other hand, it is a timesaver. Gathering all your favourite blogs, news sources and even social media into one easy to view and use location will save you valuable time. Lastly, using RSS can help you reduce the amount of junk mail and spam you receive each day. So, have you found your RSS feed?